Danielle (Dowling) Huntsman is an alumna of Loma Linda University, having graduated with an MSW in 1999. While in the MSW program she pursued a policy concentration while working full-time. As an advanced standing student, she effectively juggled the responsibilities of her academic coursework, field practicum at the Inland AIDS Project, and her full-time job at the Riverside County Public Health department. After receiving her MSW, Danielle continued in her passion and commitment to providing clinical services to patients with HIV. She also worked for the Riverside County Department of Public Social Services Children's Services Division and at the Hoag Hospital doing per diem work on various units. She then returned to the Riverside County Public Health department at the urging of her previous supervisor. Danielle has now worked at the Public Health department for over 18 years. She initially provided direct services to clients suffering from HIV and STDs. Subsequently, she managed an HIV/STD clinic and then became a Program Chief. She was appointed as the Deputy Director in May of 2017, and her responsibilities now include direct management of five managers as well as overseeing the work of over 200 employees. Further, she meets weekly with Riverside County's Board of Supervisors. Danielle also now teaches for the SBH Department of Social Work and Social Ecology. Her classes include Integrated Behavioral Health and Supervision. 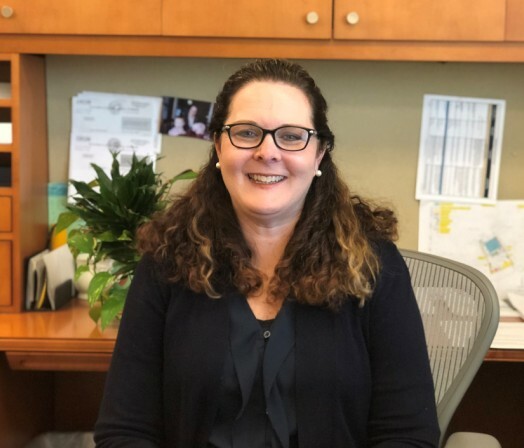 She is also working on developing a class through the LLU School of Public Health as it relates to the provision of both social work and public health services to help optimize patient outcomes. The department’s Phi Alpha Honor Society recently honored her as a distinguished alumna. As a child, Danielle grew up in Long Beach and Colton with four siblings. These days Danielle is a busy mother to two children, ages nine and twelve. Her husband, after working in human resources for various health care companies, later opened up his own business assisting seniors who are transitioning into different living arrangements. Both her father and mother are retired.